‘Your First Guide to Database Design’ – Now available in Adobe PDF! My latest book is now available on Scribd.com in Adobe PDF format. That means that even if you don’t have a Kindle or a Nook, you can STILL learn how to organize any kind of information and create your own database applications. In a world so completely dependent on the flow of information, this is a valuable career skill and a valuable perspective on how your own information is managed by others. Your First Guide to Database Design is written to present the concepts involved in database design in a clear and logical manner using everyday examples and is available for only $9.99, far less than the average technology guide. Check out the free preview on Scribd.com! If you’d like more information first, you can also check out the book’s official page on AndrewComeau.com which contains links to the free PDF preview and all the locations where you can purchase the book for the Kindle and Nook as well. This entry was posted in Database Design, Resources and tagged Books on October 12, 2013 by Andrew Comeau. It’s finally here! 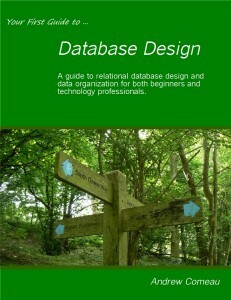 Your First Guide to Database Design is now available on Amazon.com and BarnesAndNoble.com. Another PDF version will soon be available for purchase on Scribd.com. 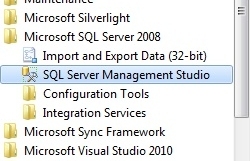 Your First Guide to Database Design is a clear, easy-to-use guide to relational database design for both beginners and I.T. professionals who need to know how to organize and store any amount of information on any subject. Whether you’re using SQL Server, MySQL or another database software, this book will show you how to model the data, create a system of tables and use Structured Query Language (SQL) to read and write to your new database. Your First Guide to Database Design uses multiple examples including the Job Search Plus database to help the average user understand the principles behind database design. For more information, check out the official book page or the support page on AndrewComeau.com. 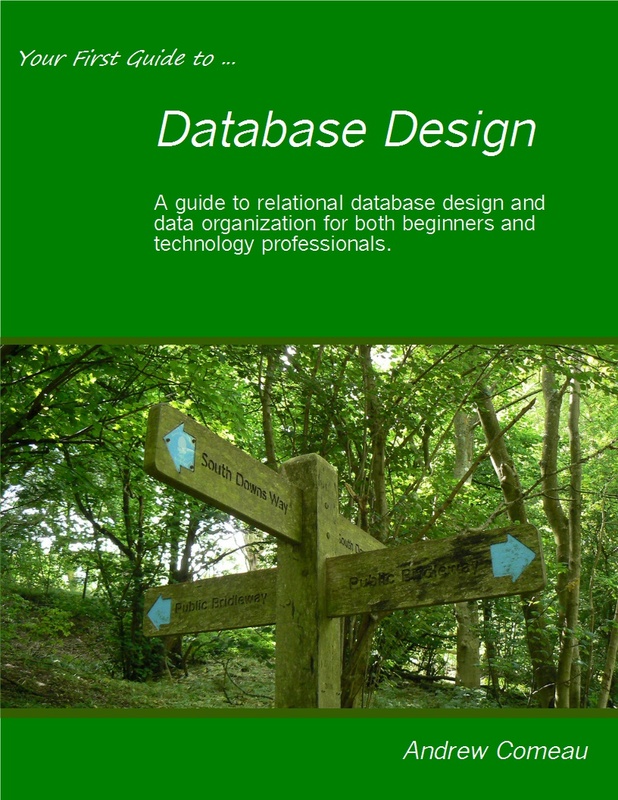 The support page includes full-size diagrams of example databases used in the book and will be updated with answers to reader questions so be sure to bookmark it! This entry was posted in Database Design, Resources and tagged Books on October 7, 2013 by Andrew Comeau.